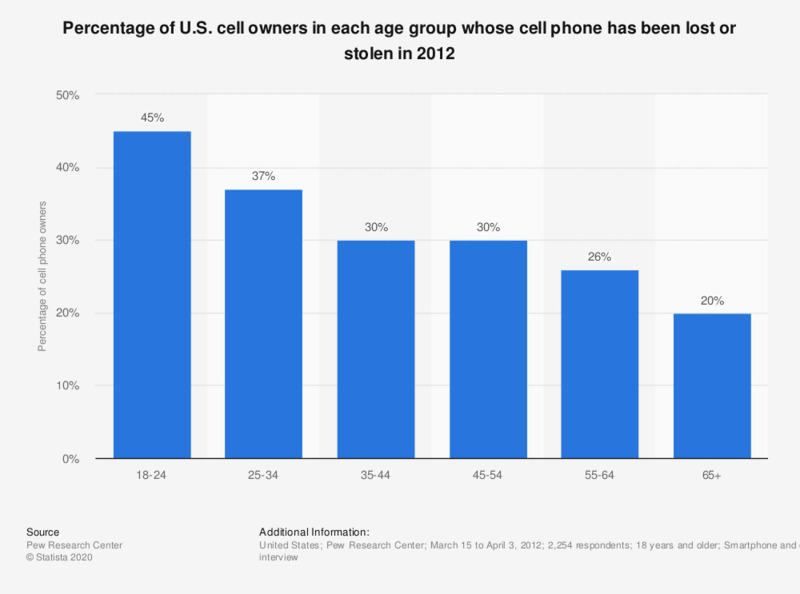 This statistic illustrates the percentage of cell owners in each age group whose cell phone has been lost or stolen in the United States in 2012. The youngest cell owners are especially likely to have experienced a lost or stolen mobile phone. 45 percent of respondents aged 18-24 have had this happen to them at some point — although this behavior is relatively common across a range of age cohorts, as one in five cell owners age 65 and up (20 percent) have experienced the loss or theft of a mobile device. Do you listen to your own music on your mobile phone? Do you listen to FM radio on your mobile phone?